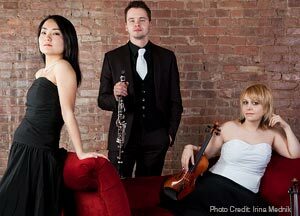 This lively trio of clarinet, violin, and piano was formed in 2006 at the Manhattan School of Music and became the only ensemble with a wind instrument to enter the esteemed Ysaye Quartet Chamber Music program at the Paris Superior Conservatory. Since that time the Trio has achieved a level of recognition on the international chamber music stage that is rarely bestowed on a group with such untraditional instrumentation. 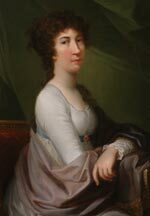 Note: to access the links, please double-click on the colored, underlined reference. Wait a moment or two for the link to load, and be sure your speakers are on. 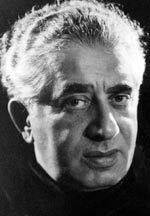 In 1903 Khachaturian was born into the Armenian Diaspora in Tbilisi, Georgia. Musically self-taught and fascinated by folk tunes, he went to Moscow to study seriously, eventually landing at the Conservatory. 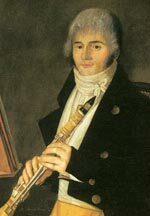 It was as a student there that he wrote this Trio, one of his only two chamber works. 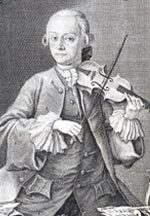 He went on to write for larger groups, including ballets, symphonies, concertos, and films. You would instantly recognize two famous ballet pieces: the Adagio (click here) from Spartacus and the Sabre Dance (click here) from Gayaneh. He continued to compose, conduct and tour for the remainder of his life, and is widely recognized as one of the great Soviet composers of the 20th century. Khachaturian noted, “[Folk music] shaped my musical consciousness and lay at the foundations of my artistic personality.” While inspired by folk music, his compositions never directly quote it. Rather, he combines folk rhythmic patterns with an exotic scale that sounds more middle-eastern than western, and evokes folk instruments such as the duduk (click here), a shepherd’s wind instrument akin to the clarinet. Krylovskiy observes that the clarinet-violin-piano combination is somewhat rare, and “presents challenges and rewards: the challenge is that we have two soprano instruments (violin and clarinet), and the reward is that when blended correctly, the combination can create the extended sound that isn’t available in the piano trio.” We hear the instru-ments as they dance and weave around each other, with fast runs and decorative ornaments sounding at once exotic, emotional and improvisatory, while at the same time, sharing the soundscape with the piano which provides a solid foundation and also brilliant passagework. 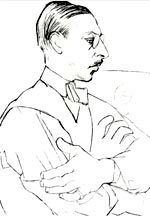 Russian-born Igor Stravinsky was, without question, one of the most important and influential composers of the 20th century. Like Khachaturian, Stravinsky was strongly influenced by Russian folk tradition, and this influence of storytelling stayed with Stravinsky throughout his artistic life. He first burst upon the scene with The Firebird (1910—about a magical firebird and her lover; click here—an especially interesting version, conducted by Stravinsky, introduced by Bernstein); then Petrushka (1911—a puppet’s story; click here), and then Rite of Spring (1913—a story of prehistoric sacrifices; click here). Later compositions have similar story settings, such as The Nightingale, Pulcinella, and l’Histoire du Soldat (1918), 100 years old this year.